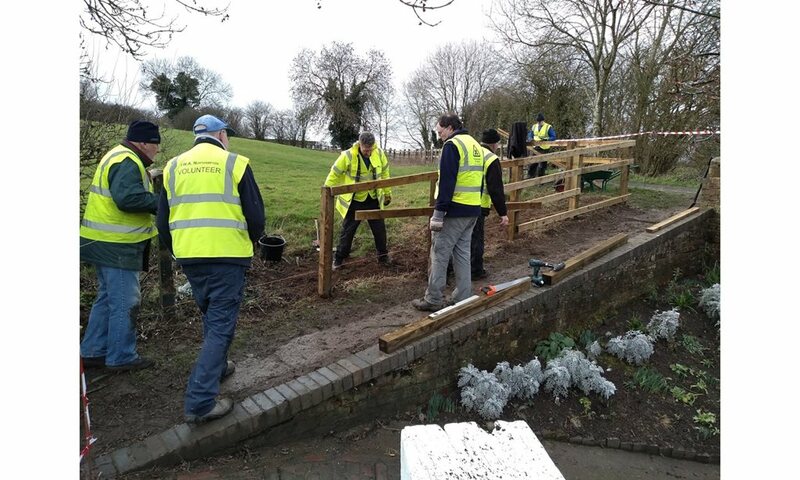 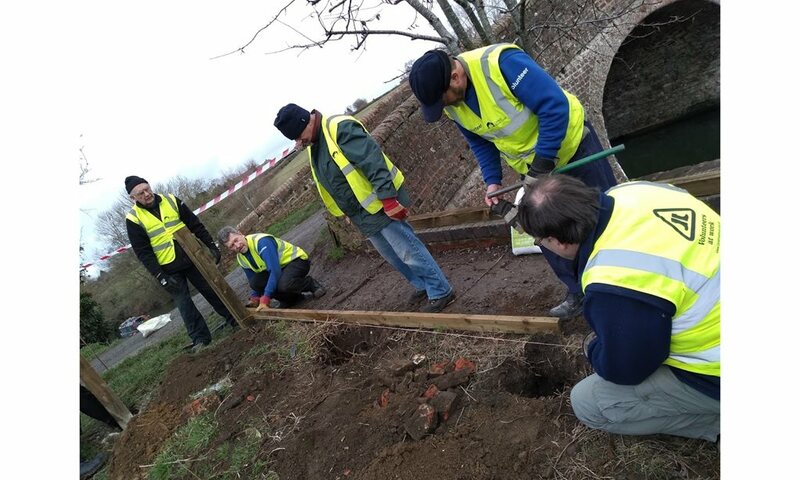 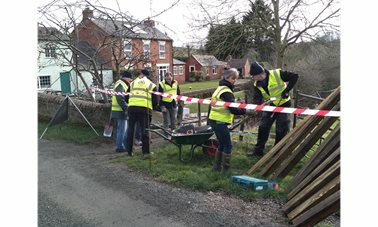 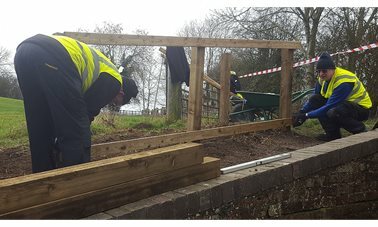 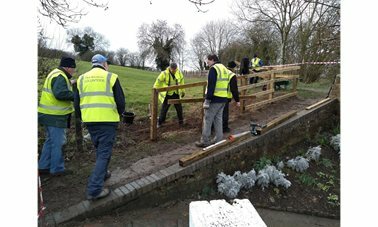 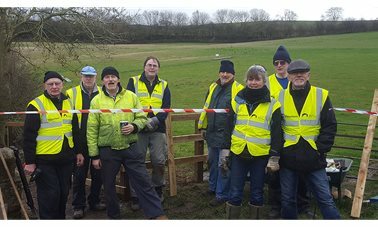 This Saturday saw a ten strong crew set about replacing the tired fence on the bridge ramp at the Nelson pub. 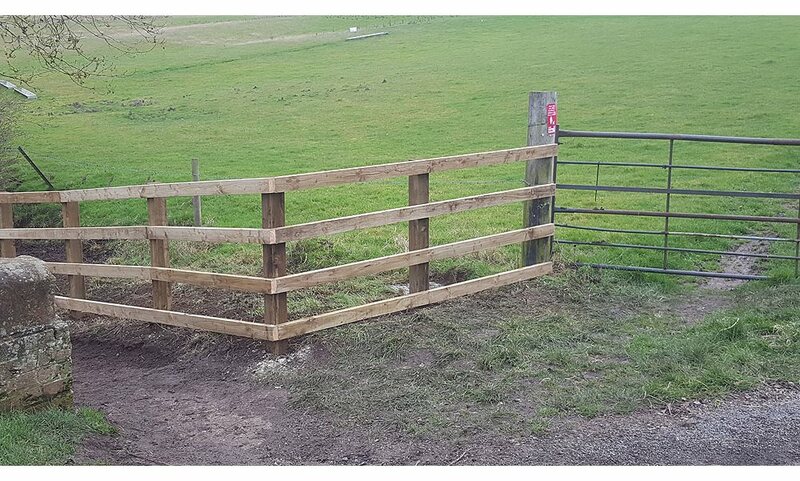 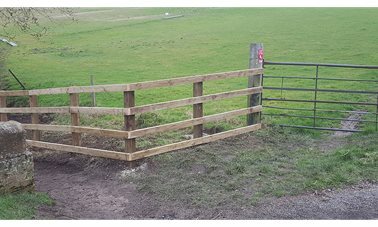 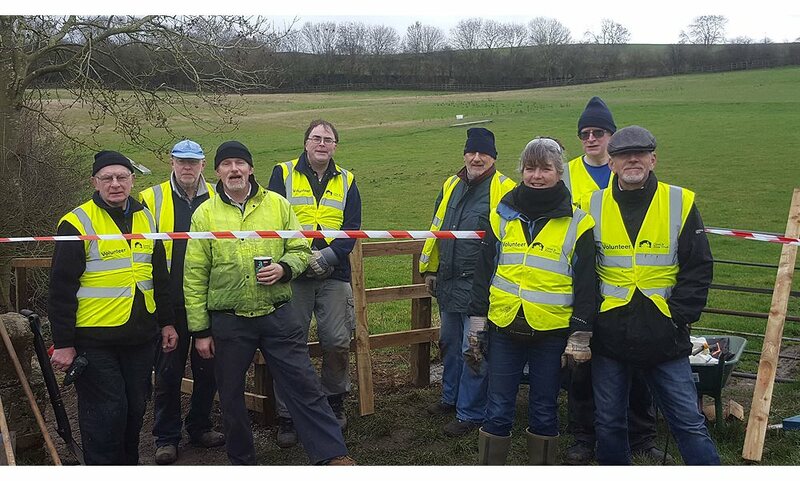 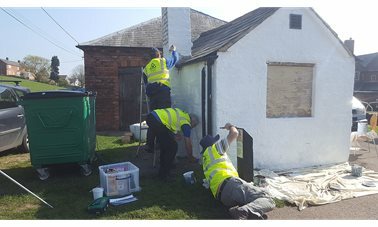 Dave Weller had previously organised the posts, postcrete and rails to be delivered by CRT in good time so work could begin as soon as safety issues had been considered. 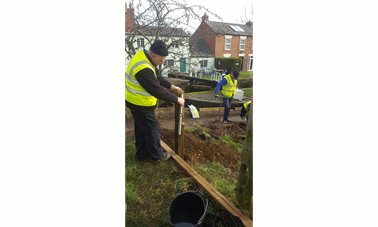 An old post hole auger was tested and proved to be a useful addition to the society's tool kit. 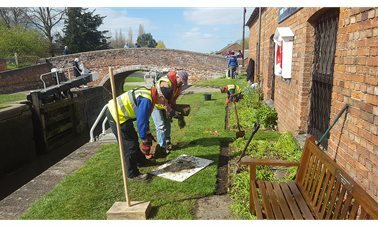 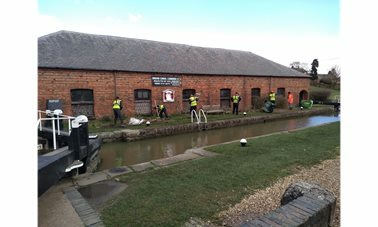 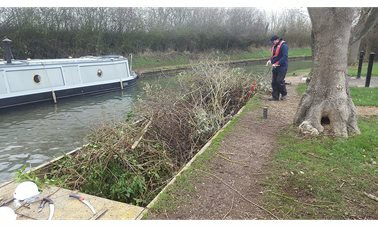 As an added bonus three of the crew set about edging the towpath from lock 3 towards lock 4. 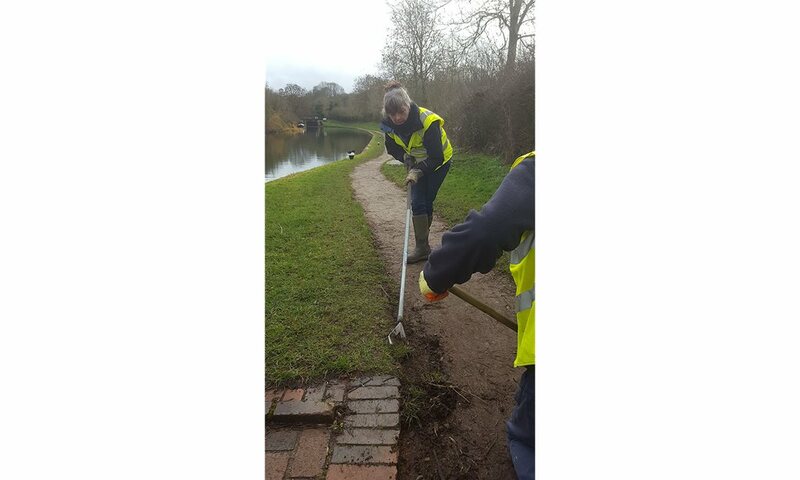 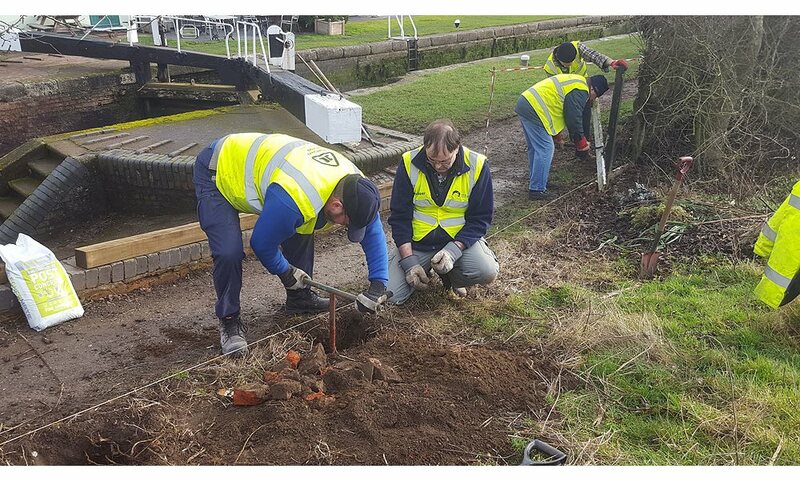 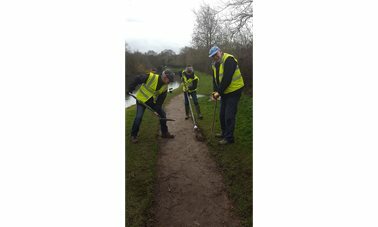 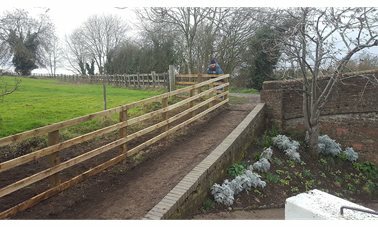 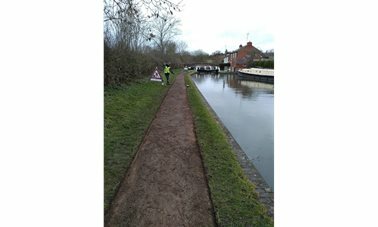 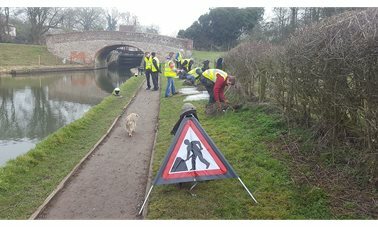 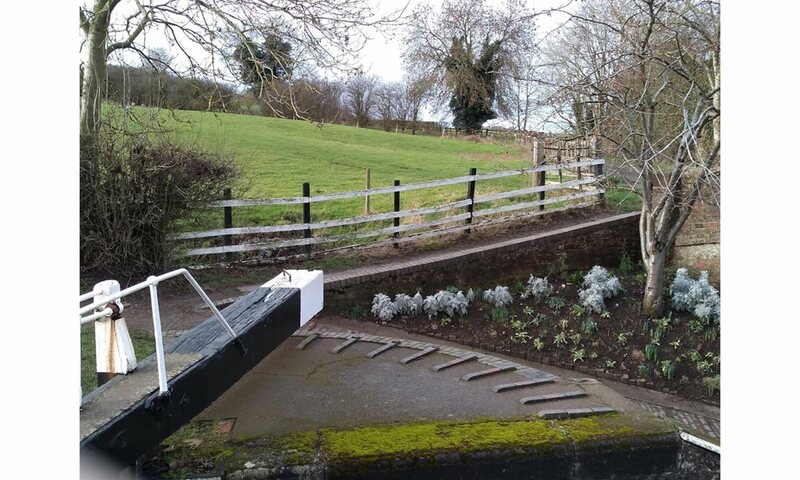 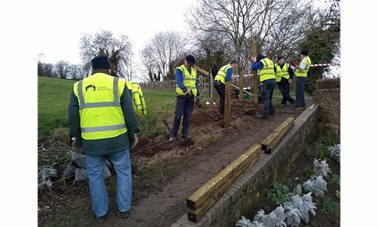 By 2:30 pm the fence was complete and 100 yards of towpath had been edged.